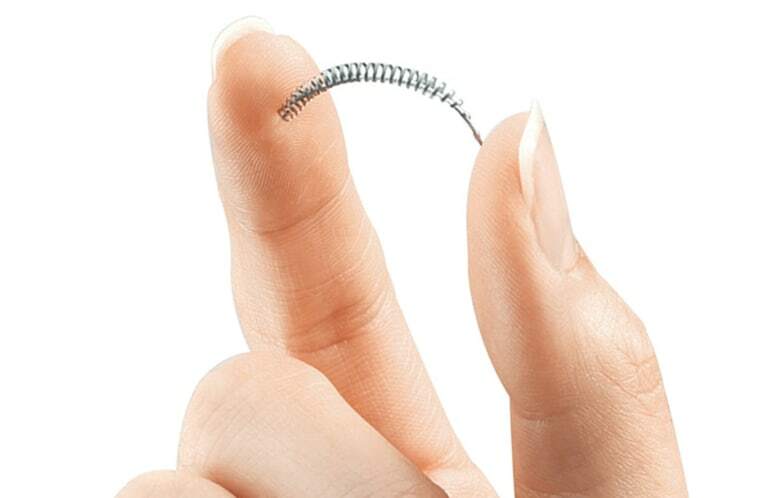 U.S. health experts will review the potential risks of Bayer AG's permanent contraceptive device, Essure, on Thursday in light of growing complaints over possible side effects, and consider whether its use should be restricted. Some 17,000 women who had the device implanted and claim it has hurt them are members of the Facebook group "Essure Problems," run by Angela Lynch, who herself experienced problems with Essure. Complaints voiced by the women include chronic pain, heavy bleeding, fatigue and skin allergies. The Food and Drug Administration panel will be asked to discuss potential changes to the product's label and whether further clinical studies should be conducted. The panel will not be asked to formally vote on their recommendations. Bayer obtained the device with its $1.1 billion acquisition of Conceptus in 2013 and maintains it is safe and effective. It says roughly 750,000 units have been sold, mostly in the United States. It’s a small metal spring that goes into the fallopian tubes – an alternative to tying them. Dr. Patricia Carney, the company's medical director for Essure, said the company welcomes the discussion. "We want to understand as a company what is going on," she said. "We want to know whether there is a link to the product." Already the complaints have led some physicians to re-examine their use of the device. Dr. Sebastiaan Veersema, a gynecologist at St. Antonius Hospital Nieuwegein in the Netherlands, was an early European adopter, implanting the device in nearly 1,400 women and training dozens of practitioners in its use. He now believes more research needs to be done to establish what, if any, relationship exists between the device and the problems relayed by some patients. "If there is something wrong with the device I want to know," he said. Veersema said a stronger screening process might be warranted to avoid implanting Essure in women who already have a uterine problem, such as fibroids. Angela Lynch was 28 when she was implanted with the device. She had three children and did not want any more. "Because I had just had a kid I wrote off all my symptoms as hormonal, my body trying to adjust," she said. "After two years I started losing hair. Then I started losing teeth, and over time it got to where my whole body was hurting." "After three days it was like I woke up from a five-year flu," she said. Dr. Cindy Basinski, who consults for Bayer and will be testifying on the company's behalf at the FDA meeting, has been implanting the device since 2006 and has conducted about 1,100 procedures with minimal complications. She has had "a couple" of patients come to her with complaints and one asked for the device to be removed. Basinski, who practices in Newburgh, Indiana, said she in "no way discounts the patients out there recounting their experience," but said it was not possible to draw scientific conclusions from anecdotal information. For some doctors, it is not just the implantation of the device that needs to be looked at but how it is removed. Dr. Shawn Tassone, who practices at a clinic in Austin, Texas, began implanting Essure in 2008, said there is no standardized method for removal. "I'm hoping that all this will change the way doctors counsel their patients," Tassone said. "Instead of saying Essure is an easy procedure with no side effects, (they should) say this is a surgery and there are people reporting complications."